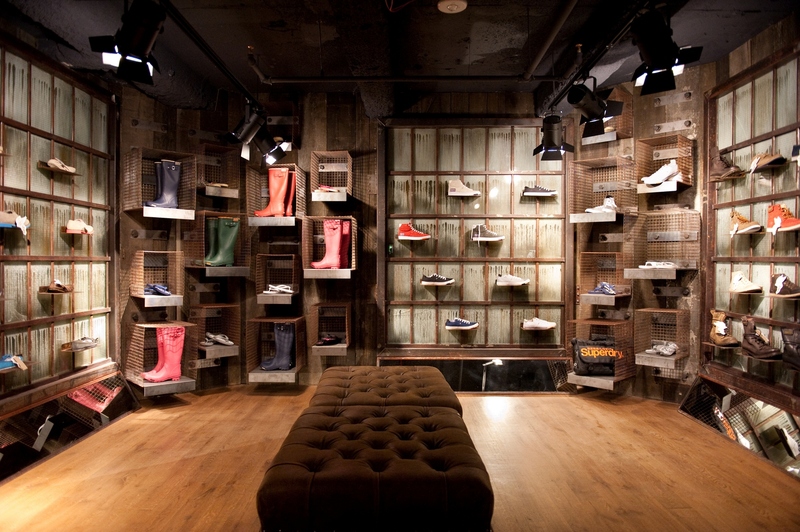 Fusing vintage Americana style and Japanese inspired graphics with a British style. 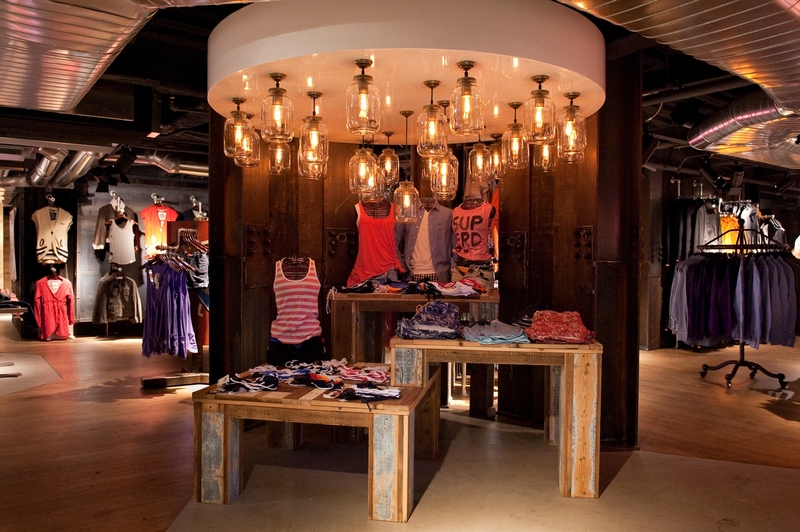 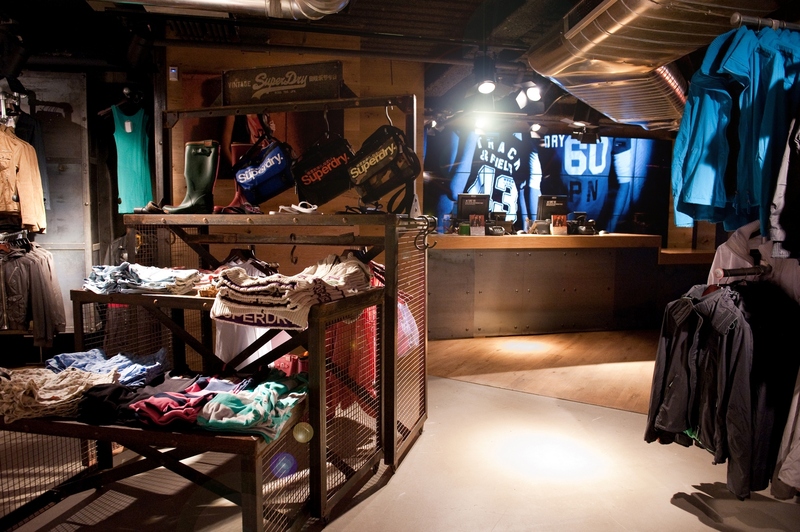 Sargenti Architects helps Superdry with their growing presence around the world. 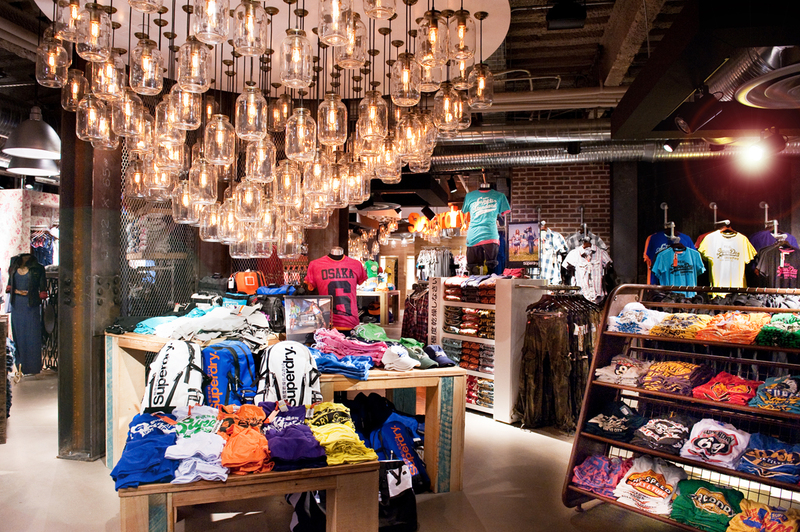 Industrial elements, graphic embellishments, and seamless detailing make this diverse store distinct among retailers.